The Huawei Light Industrial USB Modem MS2131 is a ruggedized USBwireless modem with increased temperature and humidity resistance,The industrial-grade USB modem has quad-band HSPA + / HSPA / UMTS/ GSM for worldwide use and enables the exchange of data with atransfer rate of up to 21 Mbps in the downlink and 5.76 Mbps onthe uplink. 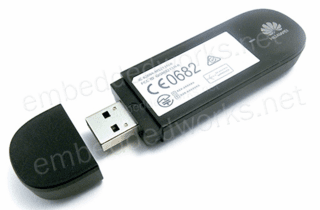 The modem can be easily customized using the standard AT commandsto any application. In addition to the built-in antenna diversity,the device also has the possibility to connect an externalantenna. In addition to Linux as the default driver, the popularoperating system Windows Windows 7/8, XP, Vista and Mac 10.8 aresupported.